Going through my many boxes of tapes, I rediscovered a lot of stuff that I hadn't thought about in years. 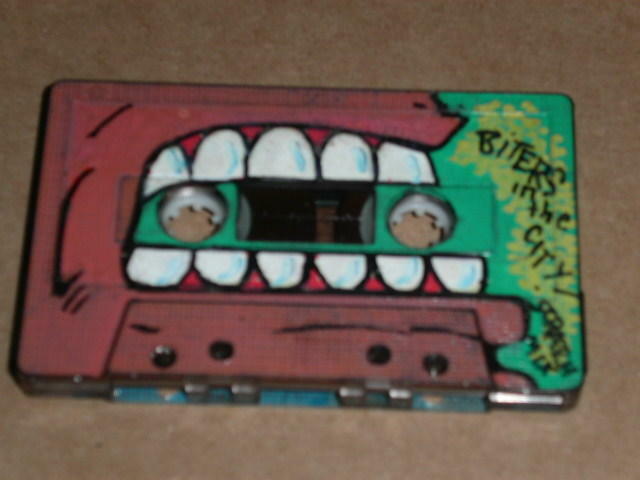 Demos I did with people I haven't seen in over a decade, songs that I don't even remember doing, probably a hundred cassettes with Friday night rap show s taped from the radio. 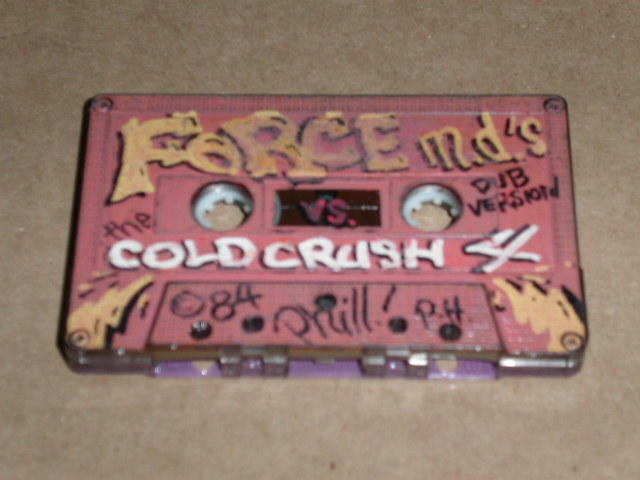 Mixtapes, crude remixes, even a tape of me freestyling (badly) over "Funky Drummer" that I recorded in a little closed down private hospital that I was working as a security guard at back in the mid 80's, and another one with me saying Slick Rick rhymes while this bum named Spoony Zee beatboxes! Crazy stuff, mane. In the weeks to come I'm gonna dig out some stuff that's worth putting up on the blog, so keep checking back on the reg so you don't miss anything- right now I'm rockin' the yousendit links, and I think they only last for like a week, right? Be sure to visit at least once a week and see what's new, fool. 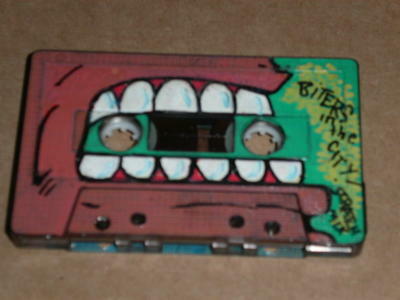 One interesting thing I came across were these cassettes that I did a little artwork on. Mingering Mike ain't got sh*t on me! (just kidding... M.M. is the man, no doubt.) 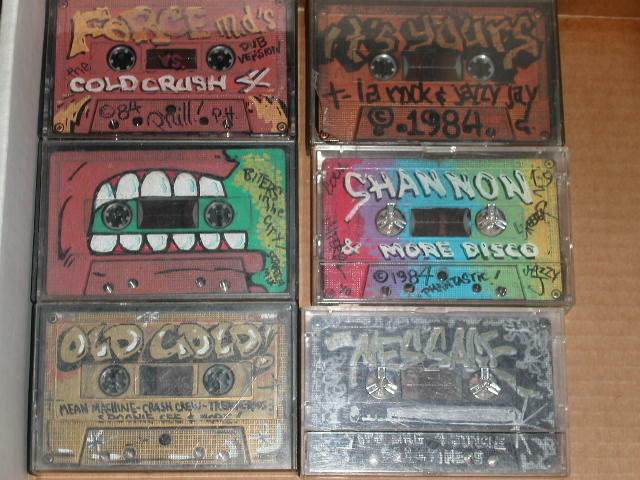 Anyway, check out a few of my joints from 1984. Those were the days, man... nothing better to do than cut up breaks in the crib, practice those windmills and backspins, write rhymes and sit around vandalizing innocent cassette tapes with paint markers! You them tapes is nice! Keep the posts coming! Us old school heads need to reminisce! You know I like those tapes. Phil! The man, the myth, the legend. Glad you are back in the mix. Your work has always been edutaining. We're still keepin' it surreal up here in A-B-E, PA. You ever go digging up here? You know about Candy' spot right? shhhhh... How's family? yeahhhmannn. . . thats what i'm talkin about!!! 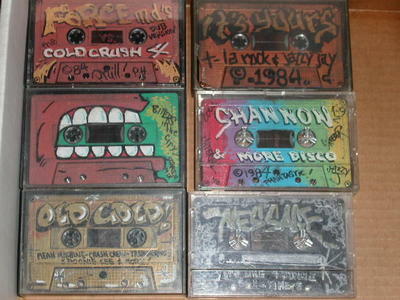 I haven't see or heard nuttin like that ( GRAFF-OUT TAPES ) SINCE 84-85. THATS OLDSCH FOR REAL. It's good to see you back doin yo "thang-thang" kid . Man! Those tapes are great!